Have you decided what to do with your student loans once you’ve graduated? Now that you are almost done with college you are going to notice some changes. Let me warn you that the first change you’ll notice is the volume of important-looking letters that will inevitably start filling your mailbox; a majority of them will be regarding your student loans. Ready or not, graduating marks the end of student loan deferment and the beginning of loan repayment. Your first step in paying back the loans you’ve made is deciding how you are going to pay them back. After college, everyone’s financial situation is unique. Some will have a well-paying job and find no trouble making monthly payments. 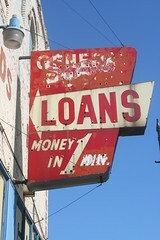 Others may struggle in the job market and loan repayment could be burdensome. I’ve detailed several potential strategies that a college graduate can use to pay back loans. I doubt that these will make things any easier for you, but they might help you to decide on a smarter course of action that will avoid financial trouble down the road. What’s The Average Student Loan Repayment Plan? The easiest way to explain your options is to start with the standard student loan payment. Generally speaking, student loans have a 10 year term with a monthly payment for a total of 120 payments. The interest rate is fixed and any interest paid in a year is deductible on your taxes. Most private loans will only offer this type of standard payment. Additionally, government loans generally default to this type of payment plan unless you can qualify for an alternative. This year, the average student graduates with $25,250 of student loan debt and private student loans average around 9% for interest rates. Based on these average numbers, students would be looking at a monthly payment of about $319.86. It’s a hefty bill when you consider that adults spend a good part of their paycheck on necessary costs of living like housing, transportation and food. Since college students land on different footing after graduation, I want to present some different strategies based on various financial situations. Congratulations! Your hard work in college has landed you a great job and sizeable starting salary. You’ve calculated your standard payment and you can easily fit that payment into your budget. If your student loan payment is more of a nuisance than a burden, you probably should consider options that minimize the interest you will pay. There are many options available for those who want to lower interest costs. You can consolidate your government loans and potentially find lower interest rates or shorten terms to less than 10 years. You can often get an even better discount on an interest rate if you start repaying your consolidated loans while your government loans are within the 6 month grace period. If you are going to pay extra each month to pay down your balances, you should focus on paying off the loans with the highest interest rates first. However, this strategy has a caveat. Minimizing your interest costs could cost you some flexibility that comes with student loans. Consolidating, especially with a private lender, could hinder your ability to receive loan forbearance, school deferment or government loan forgiveness. Minimizing your total interest paid aims at trading flexibility to pay off the loan quickly and/or for as little cost possible. You should become familiar with this formula as it tends to be a personal finance law: added flexibility = added cost. If the formula is true, the deal sounds foolish unless you can use the added flexibility to lower your risk and stress levels. This option is good for those that have secured an income coming out of college, but still have many long-term career, financial and personal issues clouding the horizon. Candidly, this is where I found myself after my undergraduate degree. I had a job at graduation, but my soon-to-be wife did not. I also had a job, but not a career in the field I wanted. I mulled the possibility of graduate school to muscle my way into corporate finance. I probably could have chosen total cost minimization and done well for the first year or two, but it would have hindered, if not prevented, me from making many important life decisions down the road. I wanted to start paying back the loans, but I needed to leave as many options open as I could. Unlike the other strategies, it’s hard to suggest a particular set of decisions when you are looking for flexibility, because everyone’s needs are different. Instead, I can point you to some student loan characteristics that give some flexibility. Your monthly payment – with government loans you have the option of consolidating for a longer term or lower interest payment. Both actions will lower your monthly payment. If you choose to let the government service your loan you have a number of repayment options, like the extended payment, which will also lower your payment. Ease and ability to defer, forbear and/or forgive your student loans – ultimately, the government will offer the most flexibility to graduates with regards to these situations. However, choosing to consolidate with a private lender for lower interest rates or longer terms could remove some or all of these options. The number of student loans you are paying back – it might not seem like a big deal, but foregoing consolidation so that you keep a number of separate loan balances is a potential area of flexibility. If you had 4 loans totaling $5,000 a piece, you could make extra payments, pay off one loan balance and reduce your total monthly loan payments dramatically. Conversely, consolidating all of them into a massive $20,000 loan balance means you’d have to pay off all of the loans before lowering your monthly obligations. It takes less extra money to pay off a small loan than a large one. If you think that your income might decrease in the future, you want to exercise your ability to get lower monthly payments. Perhaps you think that you’ll need to defer or qualify for loan forgiveness down the road; you probably do not want to consolidate with a private lender. Maybe you want the ability to gradually lower your monthly payment over a period of time? Avoid loan consolidation and keep a large number of small loan balances. If you have a very large student loan balance or simply don’t earn a lot of income, you should think about monthly payment minimization. I covered what the average monthly payment would be on a standard student loan. However, it is possible to bring that student loan payment much lower. Loan consolidation often allows you to extend your loan terms from 10 to 20 years and reduce your interest rate. Both changes in loan terms have the effect of lowering your monthly payments at the cost of increasing your total interest costs. If you prefer to have the government service your student loan debt, there are three payment options designed to lower your monthly payments. The extended term allows those with large student loan balances to pay back the loan for as long as 20 years. There is also a graduated payment plan that will let you pay less now, with gradually higher monthly payments over time. Income-based payment options give you the opportunity to set your payment as a percentage of your income. If you have a lower income after graduation, your payment is smaller. If your income increases, your monthly payment increases. Exercising these options might mean you’ll pay more in overall interest costs, but making some headway on your loan balances is better than the alternative. You’ve graduated from college, but you are unemployed and there is no indication that you’ll be earning any income in the near future. It’s an unfortunate situation, but in today’s economy, a more frequent circumstance for college graduates. While there is little comfort for your predicament, you do have some potential options to stall repayment. Government direct loans have a one time, 6 month grace period before you need to make your first payment. Both private and government loans can be put into forbearance for a year or more. Forbearance is a limited period of time where the lender does not require you to make payments. However, interest is accrued and capitalized, meaning that when the period ends and you do make payments you’ll owe more and your monthly payment might be slightly higher. You can also defer loans under qualifying circumstances; starting graduate school for example. Even some private lenders will allow for this type of deferment. However, attending graduate school might heap even more debt to your troubles. Still, it’s important to know all your options when faced with an insurmountable loan balance. One of the most dramatic options available is to join the military. Most armed services offer at least some student loan debt relief in exchange for service. These options are drastic and guarantee the highest overall interest costs, but sometimes you simply have no short-term alternatives. I’d only recommend these strategies if you cannot make minimum payments to begin reducing loan balances. I wish I could tell you what strategy would work best for you. For me personally, I’ve sought many of the flexibility options. I’ve been able to easily defer and forebear my loans as I’ve gone back to college and my family’s income has fluctuated. I debt-snowball my loan repayments, so I chose not to consolidate as a way to lower my monthly debt payments over time. Those strategies were smart for me, but would be foolish for others. You need to see how your loans fit within your financial situation and make the smart decision for you.